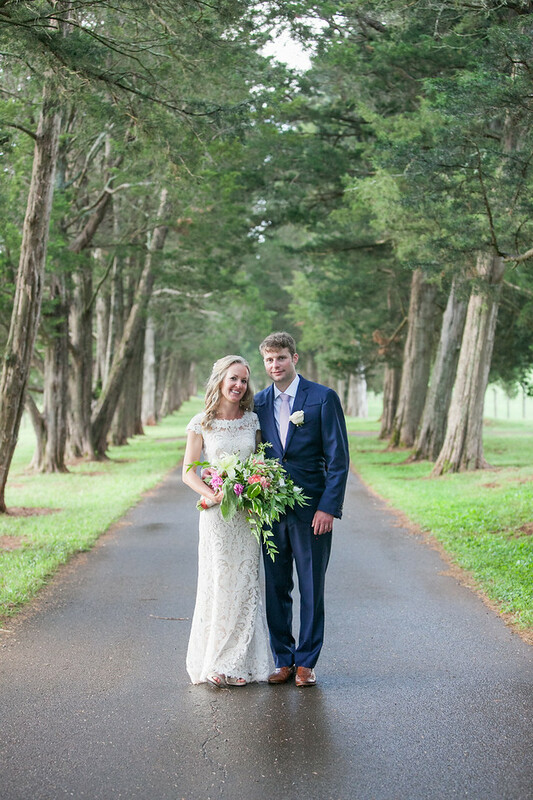 "We hired Kristine to be our wedding planner for our wedding in Lancaster, PA and cannot thank her enough for making our wedding day gorgeous, perfect, and exactly what I had envisioned! I found Kristine through a recommendation from the wedding venue's staff. I can say I am beyond thankful for her recommendation because from the first time Kristine and I spoke on the phone for our initial "consultation" to our detail meeting and special wedding day, Kristine has been nothing short of amazing! Her great attention to detail, precision, accommodating her clients, and dedication is unmatchable. She is a professional. Not only did she respect our wishes and meet our every request, but she did it with a smile on her face and a positive attitude. She has so much energy, is so sweet, and easy to talk to, and can make a stressed out bride and groom feel at complete ease once she shows them her skills of organization and event planning! Kristine was so prompt with returning my many phone calls and emails and answered every single question we had. To attest to that- when my makeup artist canceled last minute, I sent Kristine a text in a panic, and literally within an hour she recommended multiple artists who I was able to book! The makeup artist that I chose, Amanda Blaney was amazing, exactly what I wanted, and made my bridal party and I look absolutely flawless! On our wedding day, Kristine was calm, cool, and collected. She performed the work of five people! Some of the tasks she completed included - constantly checked in on me and my bridal party, multi-tasking on setting up and coordinating with vendors, helping flip the reception space from brunch to our reception in under and hour, keeping our wedding timeline on track, set up and tore down all of our décor for both the ceremony and reception, etc. without a hitch. ) When guests arrived they kept commenting on how nice everything looked. 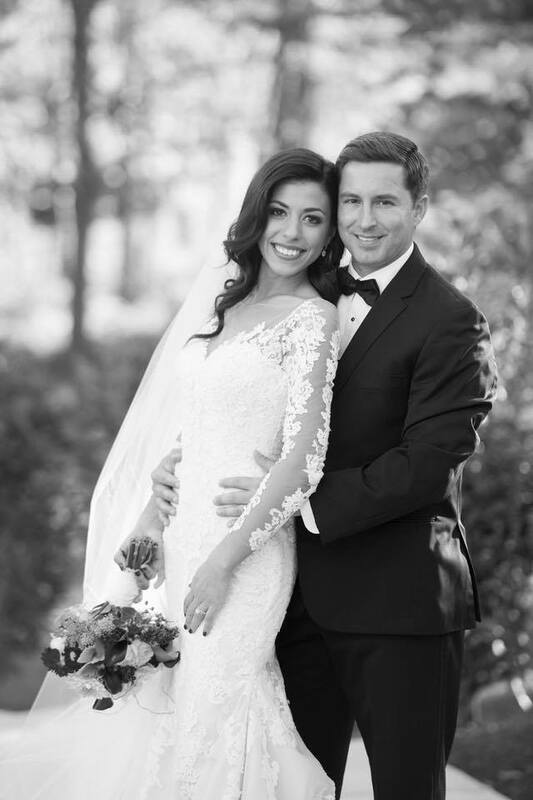 "Thanks to Kristine, our wedding day was the best day of our lives! Planning my wedding was something I dreamed about my whole life but when my dream became a reality, I instantly knew I was going to need help planning and organizing this wonderful event! I met with Kristine several months before my wedding and was instantly impressed with how organized and prepared she was right from the start. There wasn’t a doubt in my mind that this was who I wanted to work with! I was overwhelmed and anxious about the timeframe and what needed done when but she didn’t hesitate to calm my nerves and help keep me on track. Kristine’s response time to me emails or phone calls was almost immediate, always making me feel like I was a priority. Did I mention how organized she is? Yes, I know I did, but it can’t be said enough! She was in constant contact with all of my venders to ensure everything would go smoothly on the day of the wedding – and trust me everything was perfect! Everyone always says it’s ok if something goes wrong because no one will know but you. Well, I can honestly say that NOTHING went wrong. We cannot even begin to express the depth of our gratitude to Kristine. Thank you isn’t enough! My family and I did not have to worry about a single thing on our special day, and it was comforting to know that we were in the best hands. We had a quick peak at the reception before our guests entered and we were blown away by how incredible everything looked. Kristine was there from morning until night making sure everything went as planned and looked even better than I imagined. Every time I needed something, she was there. "My daughter Lauren and I hired Kristine King Events to help us plan Lauren's wedding. From the moment we met Kristine, she was the most professional and delightful wedding planner we could have imagined. She reviewed every detail of our wedding ideas from our budget to the wedding reception plans and she was on top of everything. We could not have had a better wedding planner than Kristine. She touched base with all the vendors prior to the wedding: the limousine driver, the photographer, the hotel where guests were staying, the florists, the venue, the caterer, etc. All details for the day of the wedding were provided to us in a timeline prior to the wedding day and it literally put our mind at ease. There simply are no words to explain her performance, except “she is amazing”. On the wedding day, Kristine helped our florist with the delivery of the flowers at the venue to make sure they were set up just the way Lauren wanted them. She also worked with the caterer at the venue setting up the Memory table and other special tables that Lauren designed to make sure that they were just right. "I have worked over the last 19 years with many Wedding Planners/Coordinators and Kristine King is among the very best. Together we serviced a large wedding that involved many details. Kristine laid perfectly planned timelines; staying in close contact with all vendors throughout the several weeks prior to the wedding. Our final meeting at the venue with all the vendors, the couple and parents proved to her clients that she was more than on top of her game. They were able to relax and enjoy the last few weeks of their engagement with great confidence that it would be everything they had dreamed. 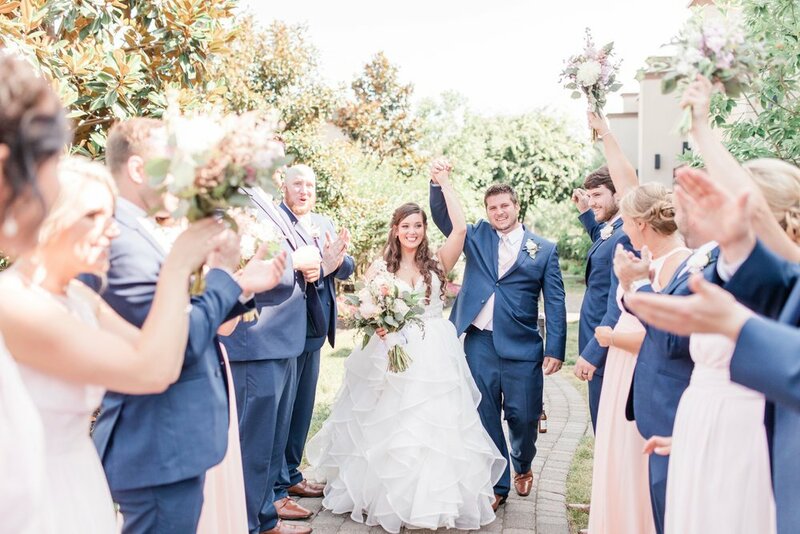 "Kristine King Events surpassed our expectations from as early as the pre-planning process to the day of our wedding and after! From the start, Kristine guided us step-by-step in detail with enhancing our wedding concept, ceremony and reception details and was well organized in vendor coordination. We knew quickly we were in excellent hands. Within a few hours of our initial conversation, she quickly connected with our vendors, established point of contact with our wedding venue and established a clear timeline of deliverables and deadlines to get everything done for the bride, groom, and others. Kristine always made herself available for questions by email, phone and even in person if needed for follow-up needs throughout the process. It was an effortless process as a bride and groom leading up to the wedding day! On the wedding day, we needed high organization and communications between the venue, vendors, our wedding party and families. Kristine communicated vigorously with all leading up to the wedding to ensure our wedding vision came to life as desired. She came in early on the day of the wedding to help with setup, connected with each vendor and kept everyone on schedule with our wedding timeline and needs throughout the day effortlessly. After the wedding, Kristine helped to alleviate our stress with post wedding coordination and follow-up! "Kristine King Events has been a dream to work with! I am a graphic designer and had the pleasure of working with Kristine on one of her client’s baby showers. Kristine was organized in all of her emails and clearly outlined what she would be needing from me. She was always quick to respond or answer any questions I had. Kristine had a clear vision for her client’s shower which made it easy for me, the designer, to execute the pieces they needed for the event. We even live in different countries and yet it was so easy to communicate with Kristine. As a vendor, I would highly recommend working with her. I look forward to working with her for future events." – Victoria, Victoria S. Design Co.
"Everyone knows that planning a wedding can be a stressful time so my mom and I early on enlisted Kristine from Kristine King Events to help us bring our very specific dream & vision to life. Kristine met with us in person as well as scheduled bi-weekly check in calls to review all planning details. She was the main point of contact with all of our vendors creating the plans, confirming all logistics and making sure every last detail went unmissed. Kristine was very organized and on top of everything which really kept my mom and I calm and at ease during this process. "I had a really great experience with Kristine King Events for my art gallery opening! Not only was Kristine a brilliant event planner and organizer but also a great source of creative ideas and support throughout the entire process. We met often to iron out details for the show and each time I walked away feeling exciting, supported, and reassured. Kristine was always a wealth of well-researched information and ideas, and very meticulous in covering all aspects of the event. It was an enormous relief to me to have this kind of structure and professional advice amongst all the overwhelming details and options that come with event planning. I really felt like she had my back and will be there to pick up whatever I’ve neglected to consider. Kristine King Events is a wedding and event planning company specializing in weddings, birthday parties, baby showers, corporate events and other special events in Eastern Pennsylvania, Connecticut and New York.